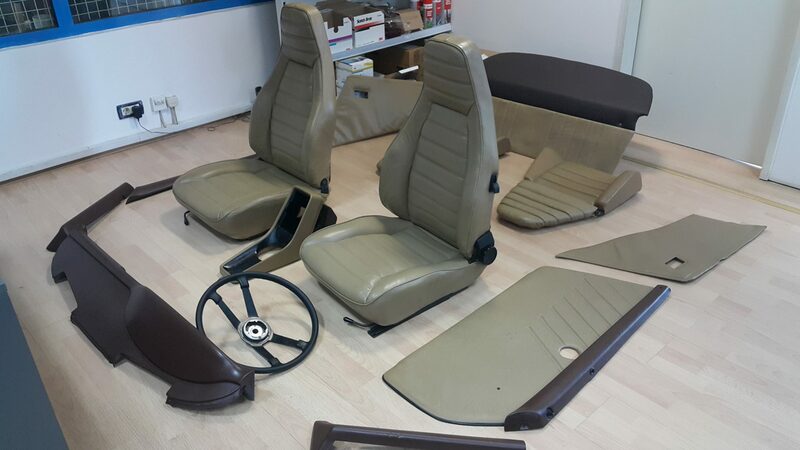 Restorations | Auto Partes d.o.o. 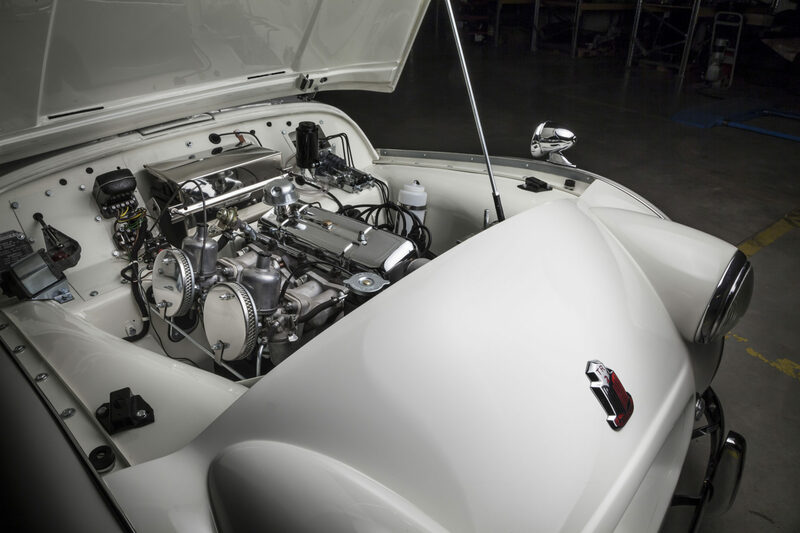 Our mission at Auto Partes Restorations is to capture the essence of classic cars while incorporating many of the enhancements in more modern vehicles. 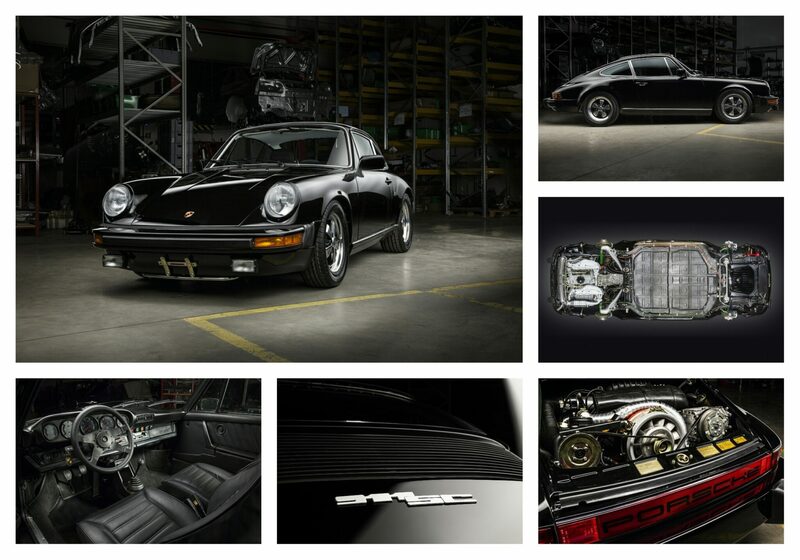 We restore or customize classic cars to your lifestyle and needs. In 2018 the company grew to a total of 25 people. 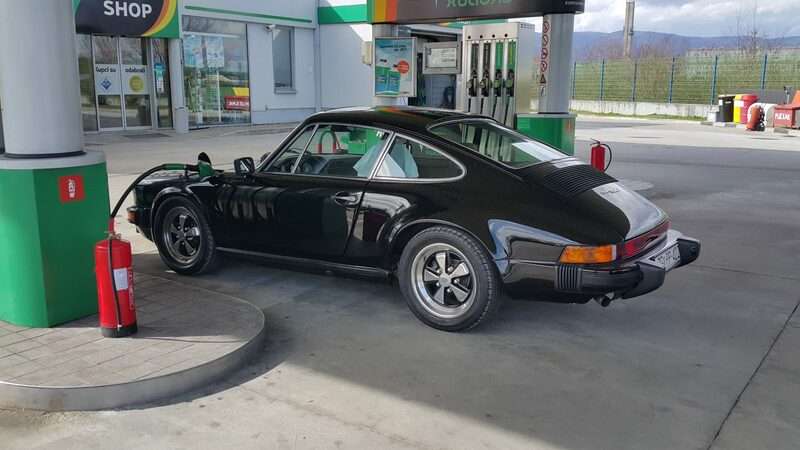 Our mechanics, coachbuilders and detailers are experienced professionals and petrolheads driven by passion and strive for perfection. 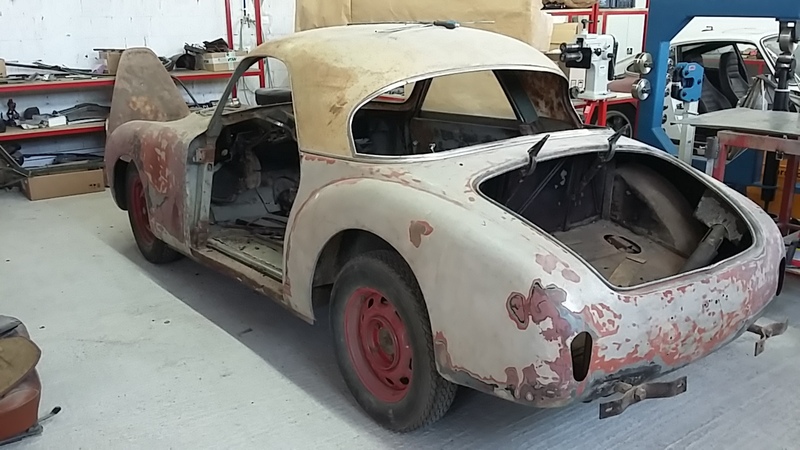 In this first stage, we completely disassemble the car down to its bare shell to ensure optimal quality in our refinishing process. Parts are sorted, labeled and stored in designated space within the warehouse for each car. Any parts that can’t be restored will be replaced with factory-ordered parts or their equivalent. This part of the process also includes the disassembly of the window frames, corner windows and trim. A detailed list of parts is then forwarded to our purchasing and customer care department so the owner can be informed about the status. 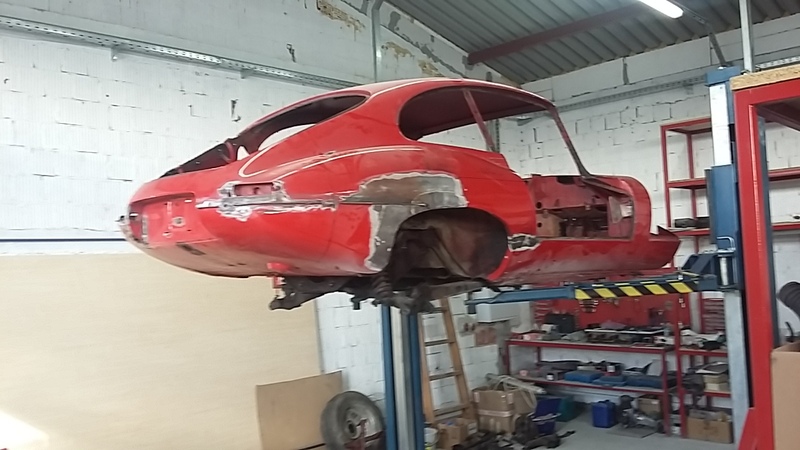 We strip the chassis and all body panels down to bare metal, so every panel can be inspected and repaired to factory-new, or sometimes even better, condition. All gaps are reset to allow for the best factory gaps and tolerances. Parts which are no longer available or difficult to find, are fabricated from scratch. 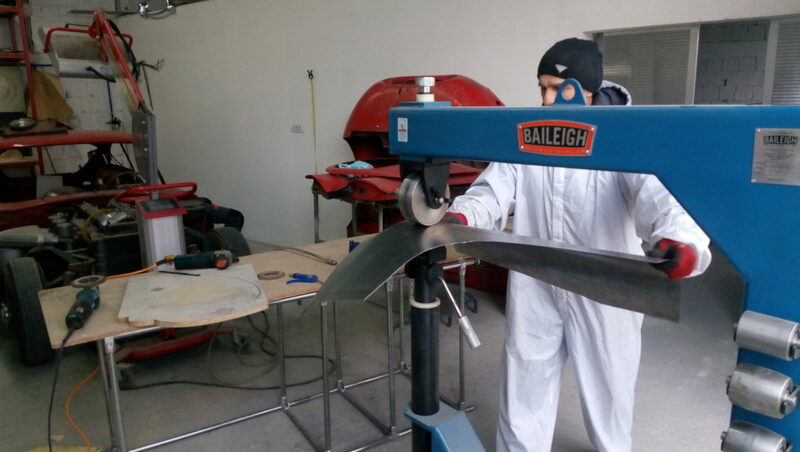 We use all the modern welding machines for MIG/MAG/TIG and spot welding. 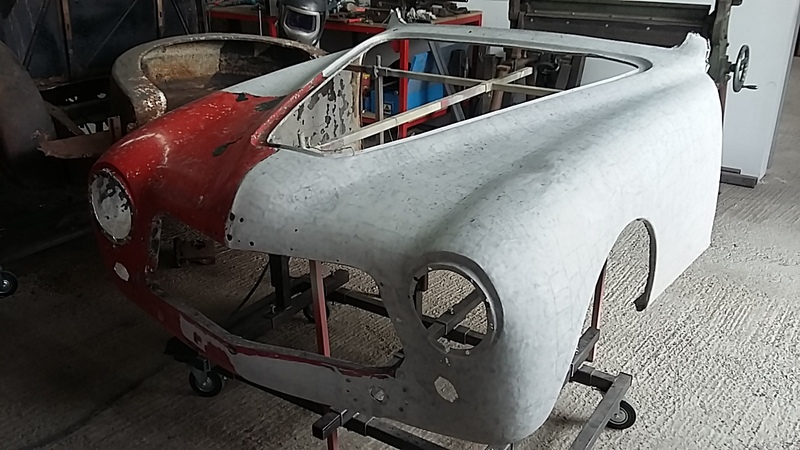 The body is then treated with anticorrosive protection and sent to be prepared for painting. 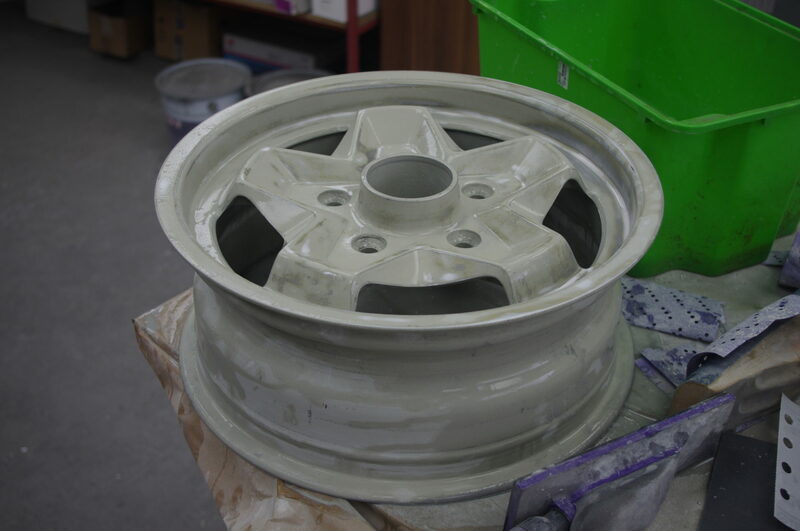 First step is to strip the belly pan, undercoat it and refinish it in its proper color. 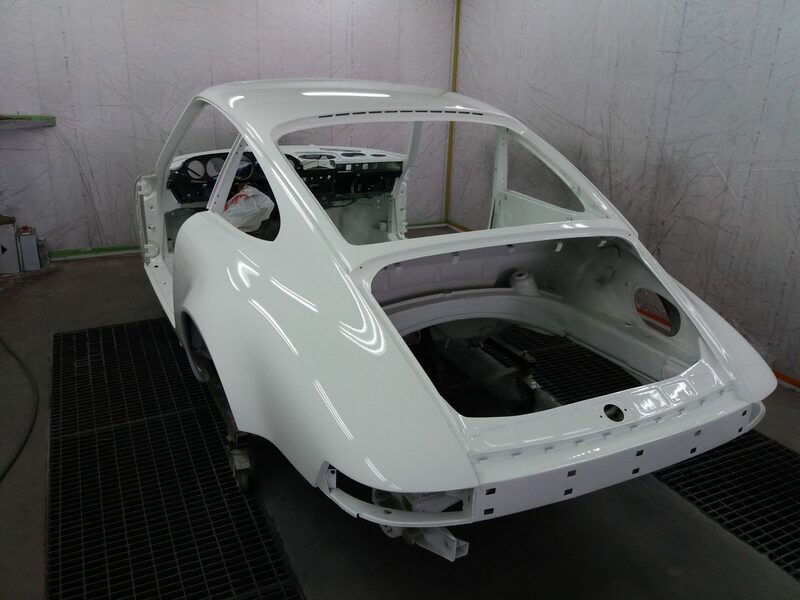 Before the exterior is refinished, we mask and reseal the car, which is covered with two coats of polyester primer and allowed to cure naturally for several days. 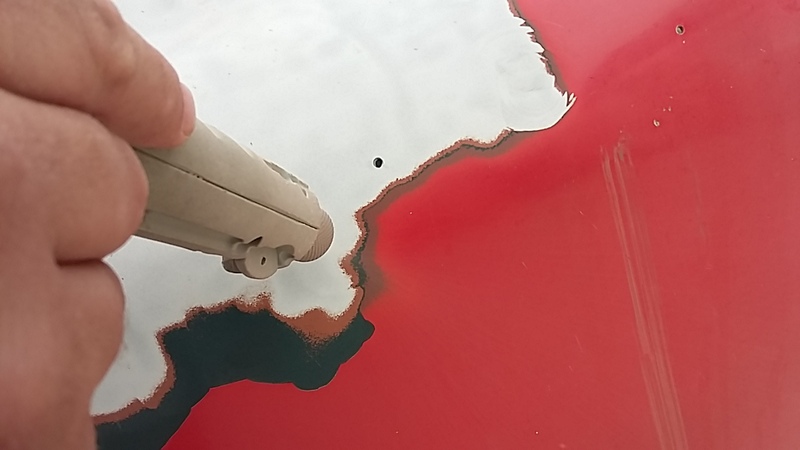 Then we color-sand and buff the vehicle to ensure the best possible high-gloss paint finish. 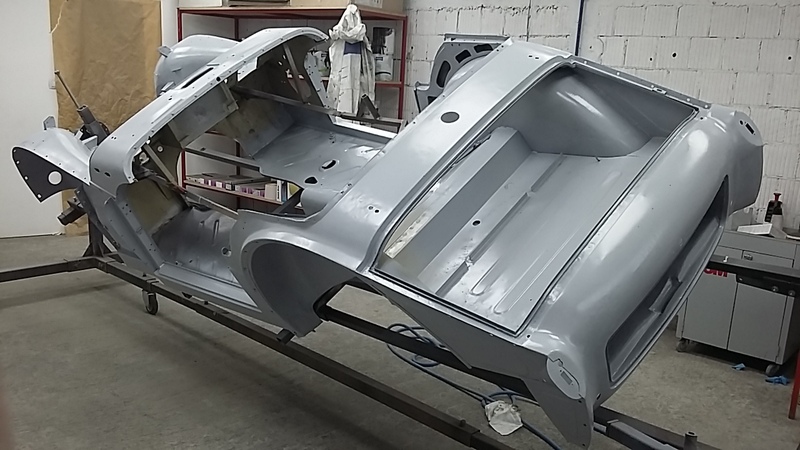 We only use the highest quality paints (like Standox or 3M) on the body and panels, and add two anticorrosive coats for protection. 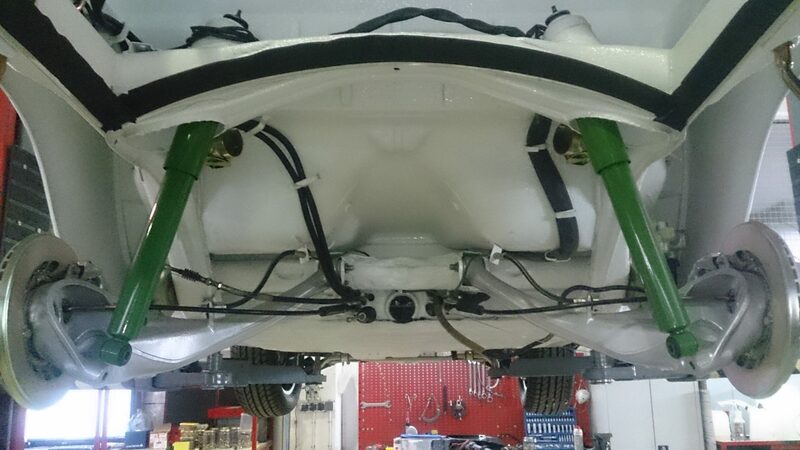 The undercarriage and floors receive a polyurethane coating. This process can be altered within owners wish. 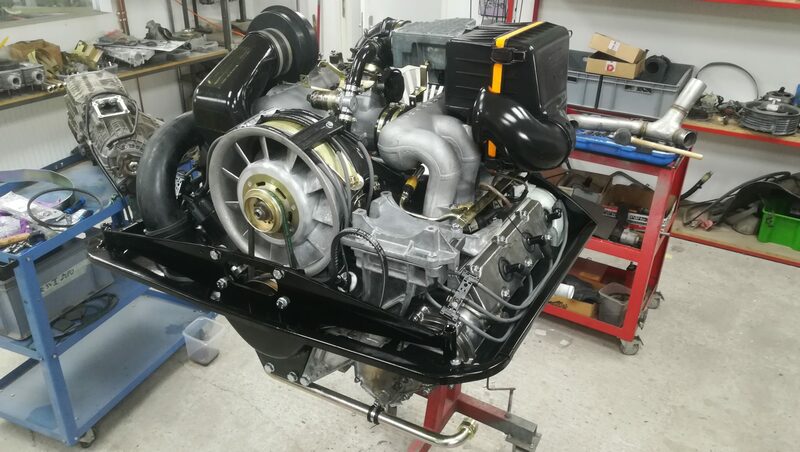 The power train, including the engine, transmission and clutch assemblies, is thoroughly overhauled to guarantee correct operation. 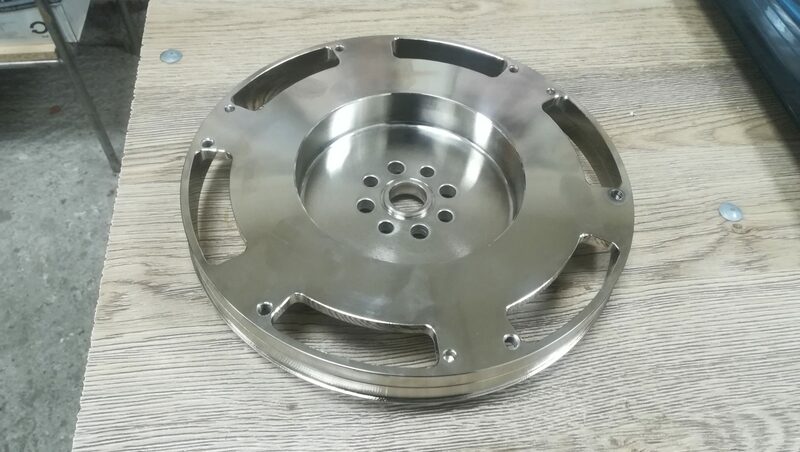 All sheet metal is brushed, and all hardware is zinc plated or treated according to correct factory standards. 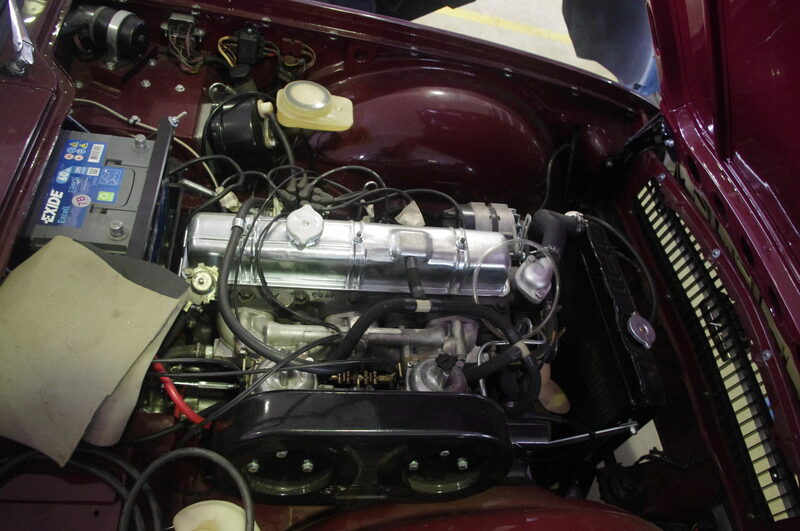 The engine receives a complete cosmetic restoration so that it looks like it did when it was first built. 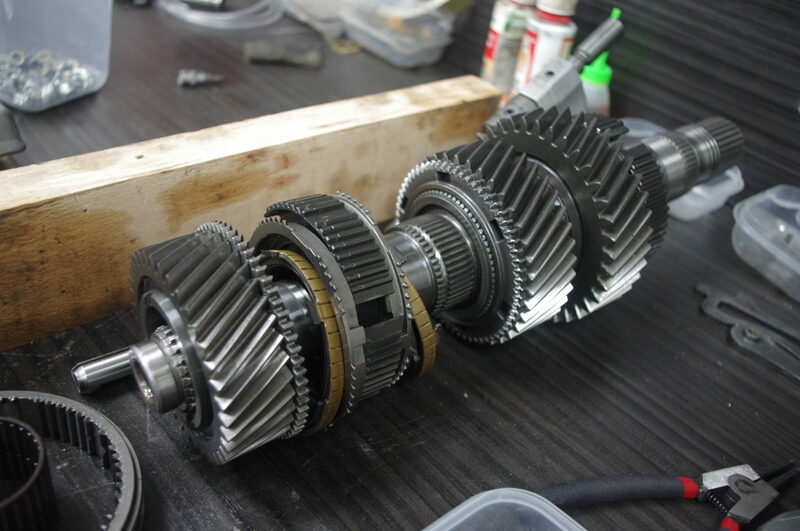 We also fully disassemble, inspect, overhaul, reseal and restore the transmission. All wiring and relay boards are removed and reconditioned. 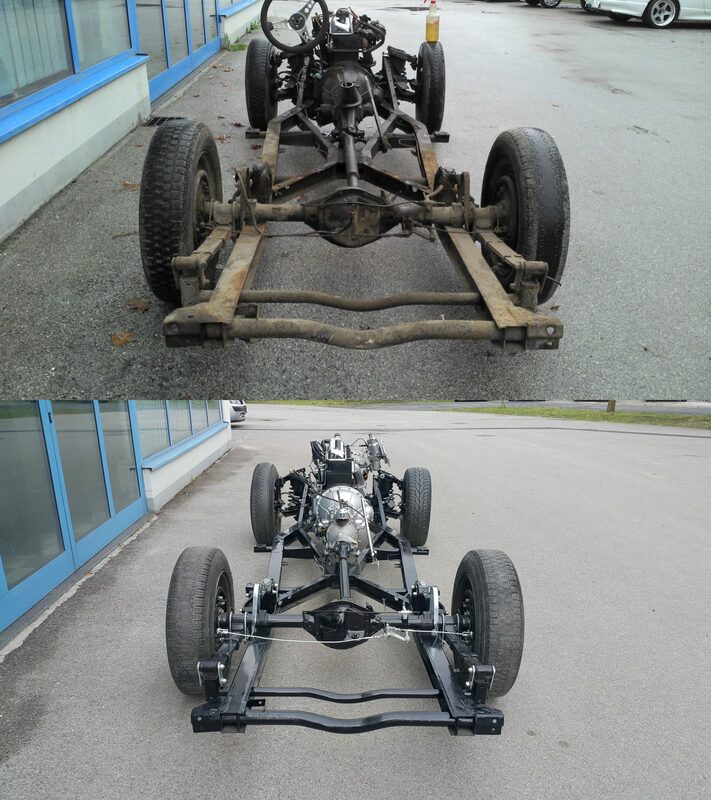 First, we completely overhaul the front and rear suspension. Then, we restore all hard components in correct colors, replacing all mountings, hardware, bearings, bushings, and shocks. 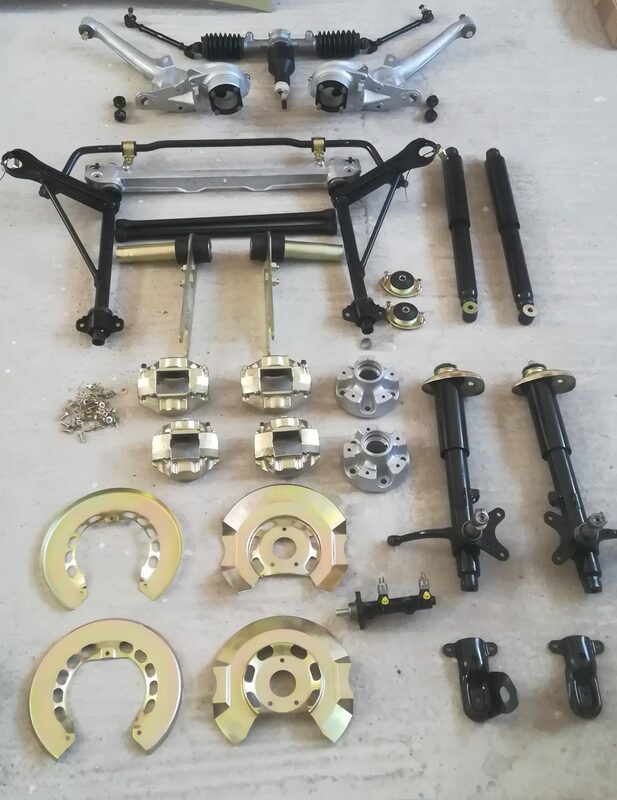 The restoration of the brake system includes the replacement of pads, rotors, seals, gaskets and wheel bearings, as well as the total refurbishment of the calipers. 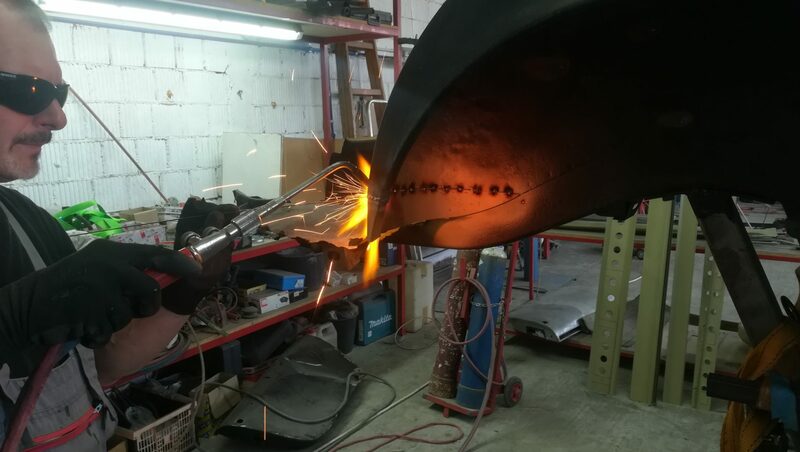 Finally, we remove, strip and refit the fuel tank and fuel neck using original finishes. This process involves the removal, repair and anodizing of trim pieces and moldings until they attain original, factory standards. We also replace the front and rear windshield moldings with new parts. 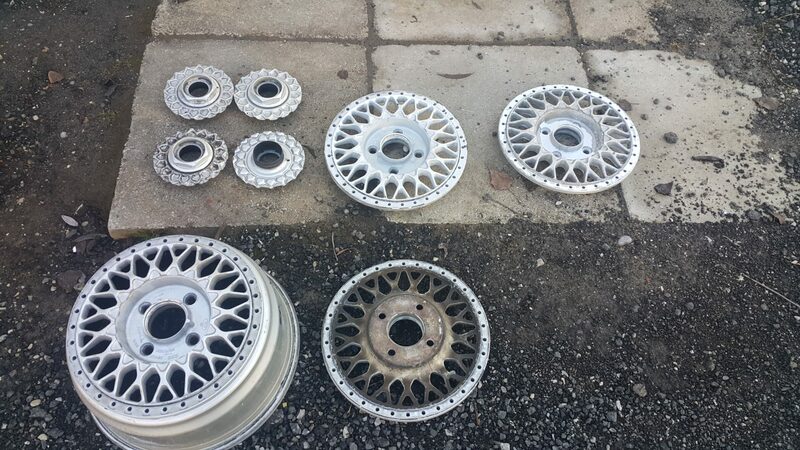 Refurbishment of miscellaneous parts including electrical components, bolts & nuts, trimming pieces, lights, handles and many more. Expert craftsmen are entrusted with the interior, using faithful, period-correct leathers and fabrics. We install complete carpet kits in original materials. 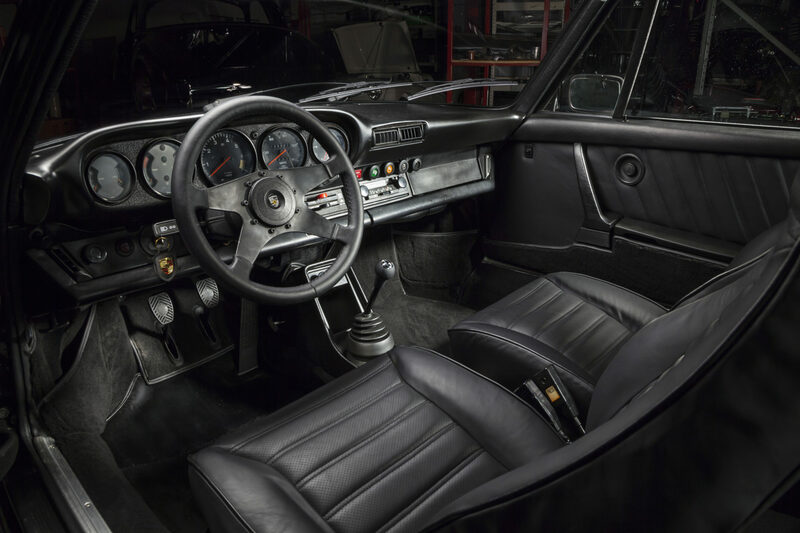 We replace all side panels, door panels, crank handles, and shift levers – and we restore the A and B pillars. 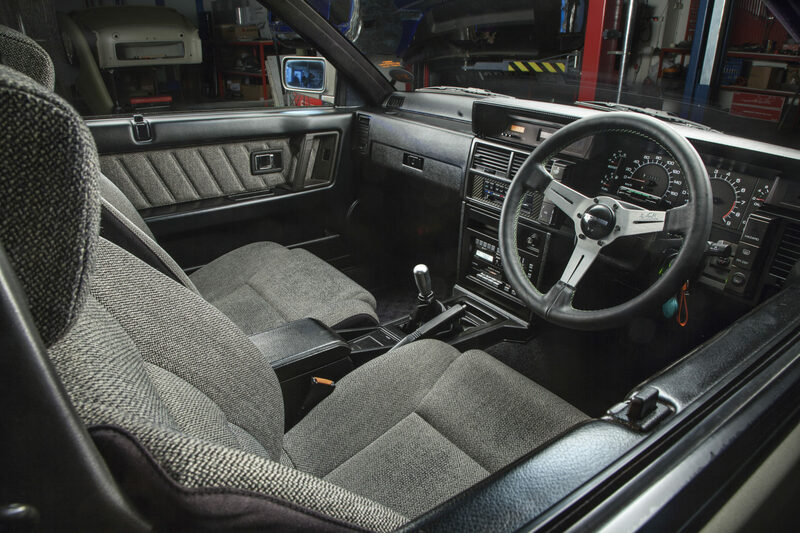 All gauges receive a complete makeover, as do the stock seats. 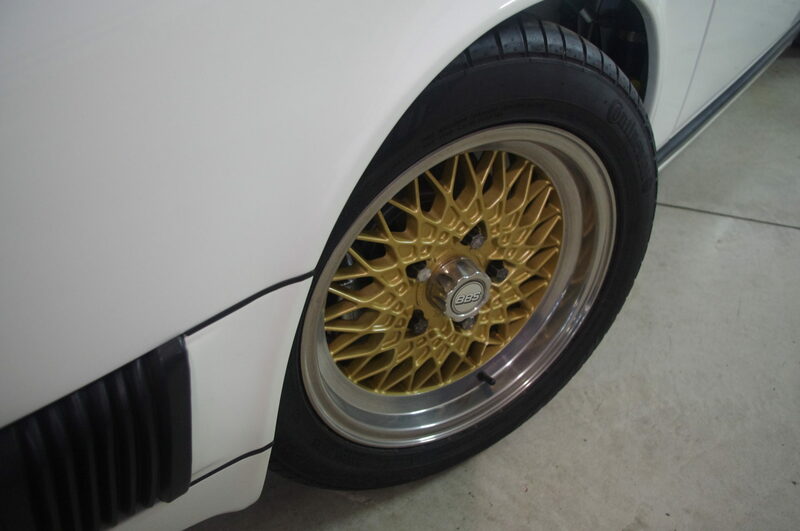 All types of wheels are refurbished and painted to the OEM specifications or to the color of the owners wish. 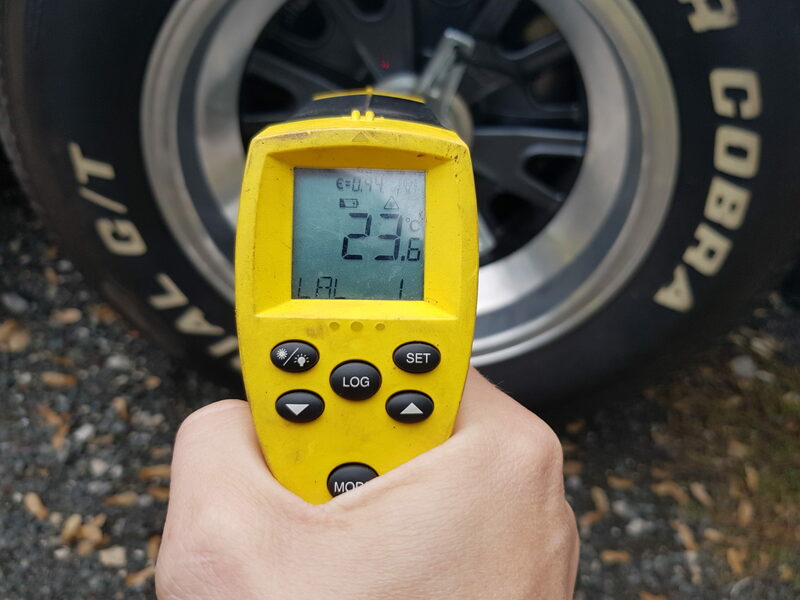 Before installation on the car, wheels are tested and balanced to avoid any unwanted actions. 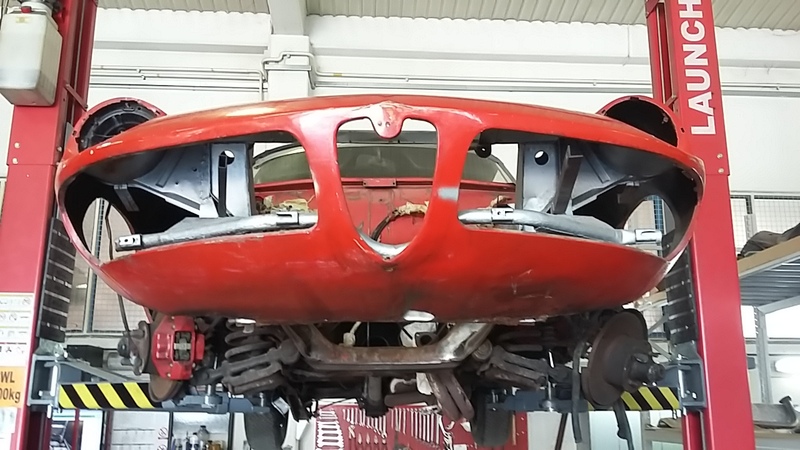 This stage includes the reassembly of the complete body, glasswork and interior of the car. It also includes the reassembly of the window frames and corner windows. All channel felts, seals and scrapers are replaced with factory-correct parts. We refinish and rework all panels and gaps in lead to allow for the best possible gaps and tolerances. We also replace all body seals with original, factory-new seals. The front and rear turn signal light assemblies are wholly reconditioned. Every emblem is replaced with a new, original version of itself. We use fresh doorsill plates and carpet. The body hardware is restored and zinc plated, or replaced with factory-new parts. Once each car is finished, it is stored in a separate warehouse with optimal temperature and humidity levels. 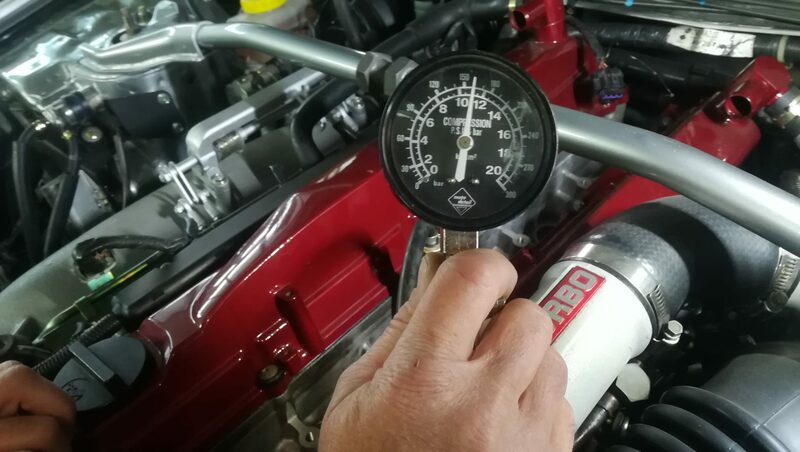 Our in-house mechanic monitors all vehicles to ensure they remain in show condition. Once all the parts are in place, we test every component until we are 100% sure everything is in order. 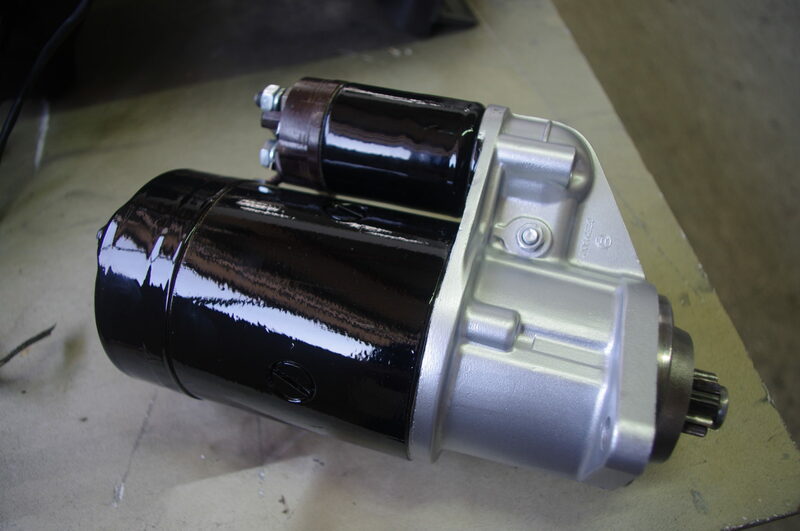 We do not deliver your car until their transmissions, suspensions and engines pass our in-depth mechanical and electrical tests. 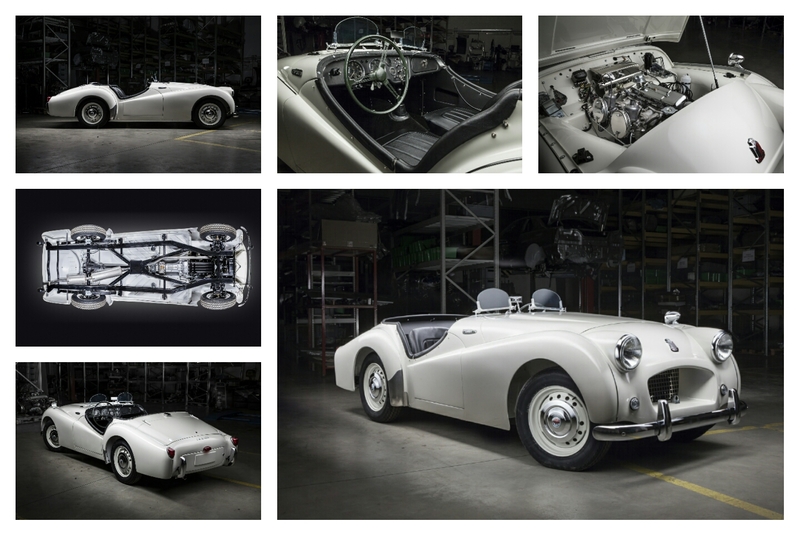 Once your restored car is finished, we create an exhaustive photo and video portfolio for each vehicle, which is delivered to the new owner on a USB drive & link via cloud (one drive) and hard-cover coffee-table book. 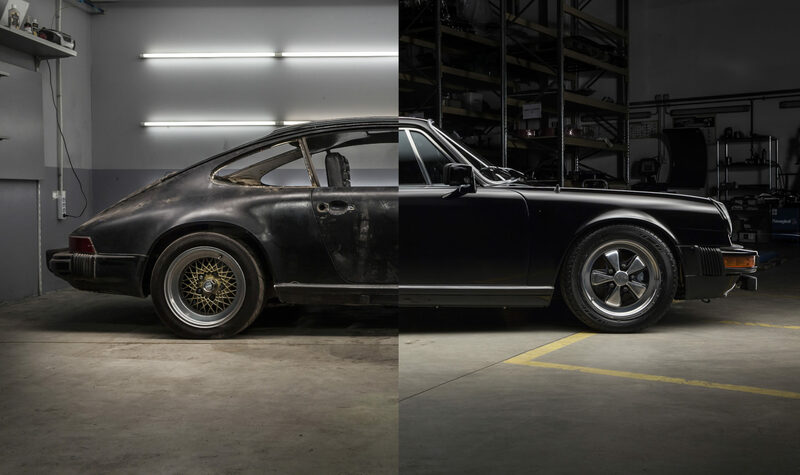 Having already documented the restoration process, one final studio photo session completes the extensive history we collect for each car. We also offer an option of ceramic nano-coating your car for extra paint protection with warranty.